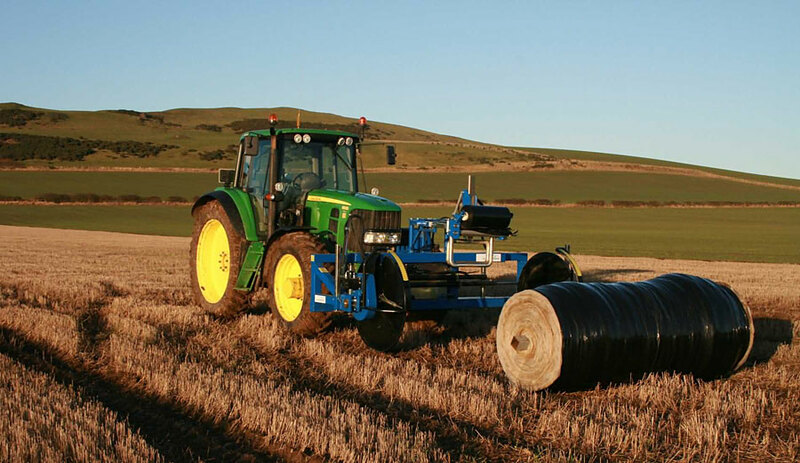 If you roll up or unroll more than 20ha of crop covers per year, the MK4 is the best system. If you need to roll up large quantities of fleece, net or poly for disposal again, the MK4 is best. If you are unrolling new covers with cores lengths greater than 2.3m, it requires the MK4. If you are rolling up and reusing up to 20ha per year of crop covers, then the new MK1 Fixed Frame Machine is ideal. In 2009 we designed and launched the MK1 Crop Cover Rolling & Unrolling Machine. Between 2009 and 2012 three versions were built the MK1, MK2 and MK3 which were originally painted red and all were quite similar in design. It was a dual purpose machine which could roll up crop covers on to a box section core. The rolling up dishes and hydraulic drive etc could be removed so that the machine could convert into an unrolling machine. These original machines had hydraulic headstocks and an electric tension device which made them very adaptable for many types of crop covers and it was a successful model. In 2012 due to increasing build costs and feedback from some larger customers prompted us to re-think the design. Instead of building one machine we decided to split it and build two separate new machines one to roll up and one to unroll and these became the new MK4 Rolling Machine and the MK4 Unrolling Machine. It saves the hassle of removing the dishes to change the machine from the rolling up mode to the unrolling mode. It also allows customers to roll up crop covers in one field and unroll them in another field at the same time and this has proven to be our best crop cover handling system to date. Some customers who bought the original MK1 machines have since bought one of the new MK4 Unrolling machines as it saves them time and makes their system more efficient. 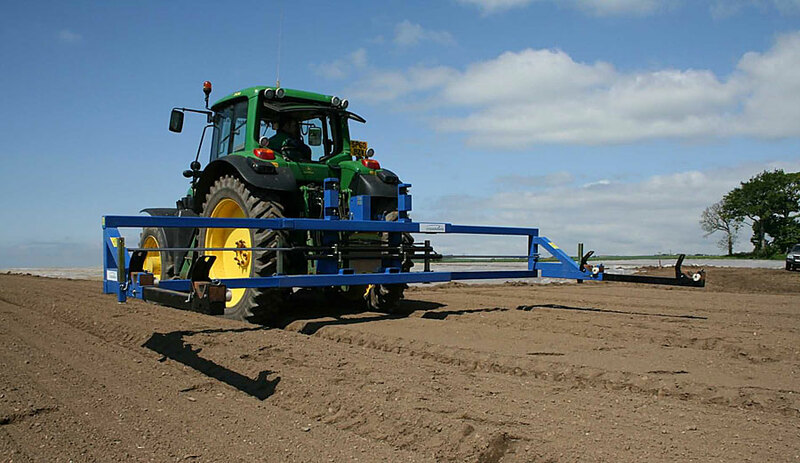 In 2015 for smaller growers handling 10 – 20ha of crop covers we introduced a new lower cost Fixed Frame Rolling & Unrolling Machine. This machine offers excellent value for money as it has similar capabilities to the MK4 Rolling Up Machine and it can also unroll. 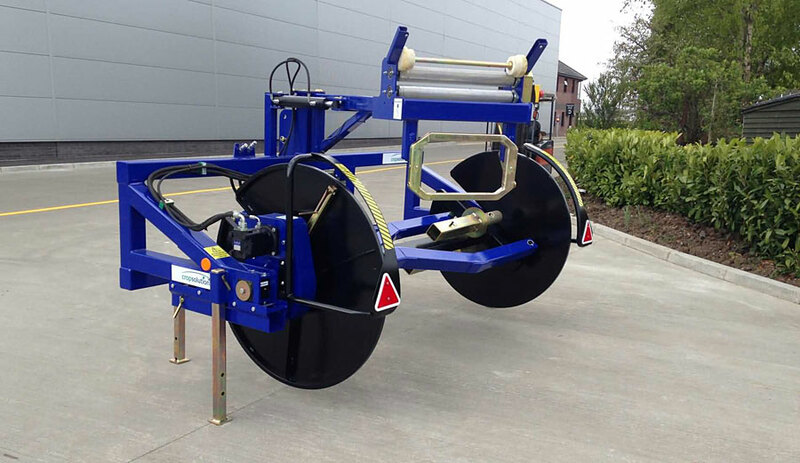 It can still roll up insect nets up to 25m wide x 200m long like the MK4 and unroll them again but purely to save build costs it does not have the hydraulic headstock, collapsible cores, parallel radial arm or hydraulic tension device. Instead it has a fixed headstock, a single beam radial arm and a new manual tension device which is still very effective. It also has the added feature that you can insert two legs for unrolling but without having to remove the dishes. All of our machines are built using the latest precision technology including tube lasers, sheet lasers and robotics. Once completed the machines are powder coated to give them a professional and long lasting finish.